Install My Antenna are able to assist you with nearly all types of Foxtel Installations. Whether you are looking to add a Foxtel satellite dish to your house to prepare for a Foxtel service, if you are pre-wiring your house to have Foxtel installed upon completion, or if you require a 40-storey building pre-wired for PayTV, Install My Antenna are available to help. • Satellite Dishes: made in a variety of sizes, depending on the type of installation. • Low-Noise Block Downconverters (LNBs): can be single, double or quad input. • Headends: typically TDT, 5wire or Satellite Multistacker. • Multiswitches: can be a range of different inputs and outputs, depending on the type of system and the number of outlets in the system. 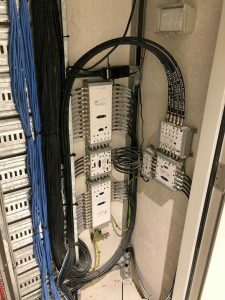 In addition, there are further specialised parts that can be installed to combine Foxtel with Free To Air TV channels, CCTV camera systems, in-house channels, and more. Install My Antenna’s team of highly qualified technicians and office based design staff have expert knowledge of the correct Foxtel procedures, Foxtel Approved equipment and Foxtel compliant installation standards to ensure your Foxtel installation is done right the first time. Many of our customers think the only way to receive Foxtel at more than one TV in their house is to subscribe to additional Foxtel boxes. However, the team at Install My Antenna are able to take the signal from your single Foxtel box and deliver that channel to many different TVs around your house without the ongoing subscription fees. We can even install an infra-red transmitter/receiver that can allow you to change the channel from any room in your house. Install My Antenna are proficient at installing and maintaining all satellite based Foxtel installations. This includes single wire, TDT, 5wire and satellite multistacker designed systems. Install My Antenna retain a number of TDT maintenance contracts with body corporates around Australia with minimum SLAs designed to minimise and eliminate downtime of Foxtel services. For installation of new systems, please consult with Install My Antenna prior to running any cabling to ensure that the appropriate system can be used at your premises. 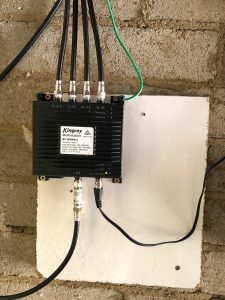 Install My Antenna’s commercial team will be happy to provide you with a Foxtel approved design to ensure any Foxtel Commissioning process (including the relevant Foxtel Scope of Works (SOW)) will be passed by Foxtel and their quality assurance partners. Foxtel’s satellite multistacker is a revolutionary new technology that allows channels served on both Horizontal and Vertical transponders to be accessed by multiple end users simultaneously. Practically, this means that only a single cable needs to be run for the backbone cabling and to each outlet in the system. This is compared to the ‘5 Wire’ design, whereby 5 cables are required for the backbone and 2 cables are required for each outlet. However, it is very important to do all signal attenuation calculations when designing multistacker systems so as to avoid slope signal performance issues. Multistackers will surely provide significant benefit to those sites looking to switch from Foxtel cable to Foxtel satellite in the future. The 5 wire Foxtel system requires a 5 cable backbone and 2 cables to be run to each outlet. This design has been the base standard for many years and is very common in all types of developments, including high rise apartments, aged care centres, hotels, hospitals, retail, office buildings, etc. However, since the introduction of the Satellite Multistacker system, it is likely that 5 Wire designs will decline in popularity due to cost constraints. 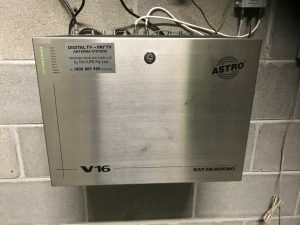 TDT (or Transparent Digital Transmodulator) is a single wire system employed by Foxtel and still in use at many sites across Australia. All TDT sites must be setup under an ongoing maintenance contract with a Foxtel service provider to ensure the services are maintained in an adequate form and with no significant downtime. However, since 2018, Foxtel have stated that they will no longer allow the new installation of TDT systems (except those already sent and provided with approval). This is mainly due to the fact that TDT systems are not able to broadcast Foxtel’s 4K channels, which are available on the Foxtel iQ4 set top boxes. Thankfully, Install My Antenna has performed many small and large scale Foxtel installations across Australia. You will be in safe hands with our fully trained & experienced technicians, as well as our technical and administrative office staff. Call Install My Antenna today on 1300 800 123 and we can organise a time to visit you and provide a free quote for all your TV Antenna needs. Contact Australia’s trusted Antenna Installation, Antenna Repair and Audio Visual Installers on 1300 800 123 for more information on all of our services.